Barclays Bank in Three Bridges has an external cash machine (ATM), and wheelchair access. 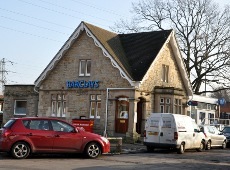 Barclays Bank is in Three Bridges Road, with a modest car park nearby. It is a short walk from Three Bridges train station. There is another Barclays bank in Crawley town centre.